If you are thinking of buying a property on the Costa Blanca (Alicante) or on the Costa Calida (Murcia), but do not know what agency can offer them, Casas Espania is the real estate in La Zenia - Orihuela Costa you are looking for. Our agency has an extensive catalog of properties in the southeast of Spain so you can find the greatest happiness and quality of life possible. 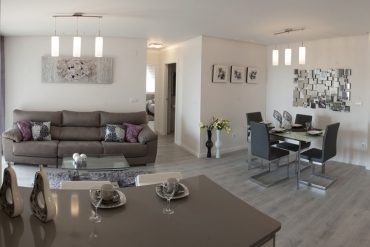 If you want to buy a property, new or second hand on the Costa Blanca South, our real estate offers you your new home in incredible destinations such as Rojales, Ciudad Quesada, Orihuela Costa, Torrevieja, Pilar de la Horadada or Guardamar del Segura. If you want to live in the Costa Calida, our real estate in La Zenia and Torrevieja offers you your propety in Los Alcazares, Cartagena, San Pedro del Pinatar, San Miguel de Salinas, among others. Among our wide range of properties for sale in these two wonderful areas of Spain, our customers can access bungalows for sale or townhouses for sale. Also, offer fantastic modern villas with private pool or apartments to enjoy all your vacations. 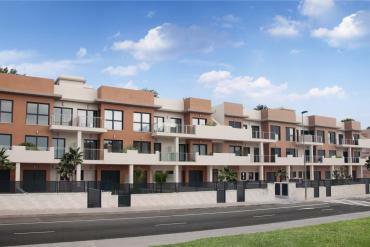 These are some of the models of properties that you have, but we offer another wide range of homes for sale in Spain. If something is proud of our real estate in La Zenia - Orihuela Costa is to offer a professional and personalized service to our customers. Our real estate agents will be responsible for advising and always be aware of those people who bet on our real estate services. From the first moment the client contacts us, we will ask him / her the priorities of his / her property in order to shorten the search time, so that we can offer the house that best suits his / her tastes and needs. Stop wasting time looking for real estate sales agencies and come to know more about your future real estate in La Zenia - Orihuela Costa. We are waiting for you in Orihuela Costa, in Calle Maestro Torralba 4b ,, Zenia Golf II Shopping Center, La Zenia, 03189. If before coming to meet our real estate agents, you want to call us by phone or you want to send us an email, you can do so by dialing 0034 965 083 434 or sending an email to info@casasespania.com.